Podcast: Monster Jam monster trucks! 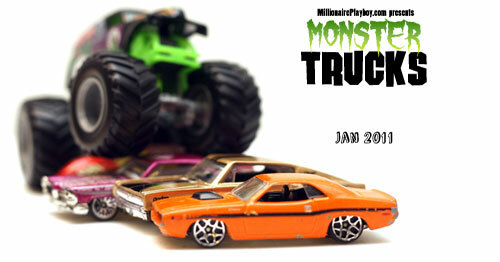 Here is a five minute rundown of the Monster Jam monster trucks and playsets we have. Check out our Monster Jams Hot Wheels review with tons of photos. And as promised, one more surprise. Here are free DIY Wrecker cars you can assemble and crush over and over! Comments: Comments Off on Podcast: Monster Jam monster trucks! The Monster Jam show is coming to our town soon, check out our coverage as we get ready for the big show.